The dictionary defines ‘agile’ as: quick and well-coordinated in movement; lithe. Now I realize the word has so many more meanings. 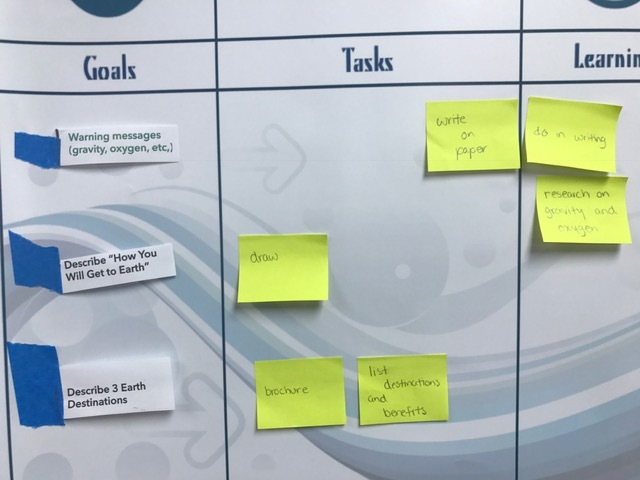 If you’ve heard anything about the Agile method, you might remember it was originally started as a process to help software engineers work more productively. It is based on short term accomplishments, flexibility and iterations. How could this productivity method have anything to do with education, you ask? That’s the same question I had when my husband suggested Scrum, a version of Agile, for our high school-age son. As a computer programmer, he thought Agile / Scrum could help our family better manage our son’s overwhelming academic and extracurricular Junior year schedule. We were willing to give it a shot. A ‘scrum’ is actually a term used in rugby. It’s when the players put their heads down, interlock their arms, and restart play in a match. The term was adopted in Agile’s case to describe an efficient way of working on a project collaboratively. Except, instead of interlocked arms and brute force, Agile’s game plan involves a whiteboard and sticky notes. To support our overscheduled teenager, we went out and bought a large whiteboard and several packages of multicolored sticky notes. Our son then proceeded to color code his goals and break them down into tasks, placing them strategically on the board, based on priority. This made his workflow visible and systematic. Although he wasn’t using the collaborative facets of the traditional Scrum method, he found the system to be extremely helpful. We began to realize that this approach to work was directly applicable to the world of education. And, as we looked into it further, we found we weren’t the only ones who thought so. We sought out Agile Classrooms and its founder, John Miller. 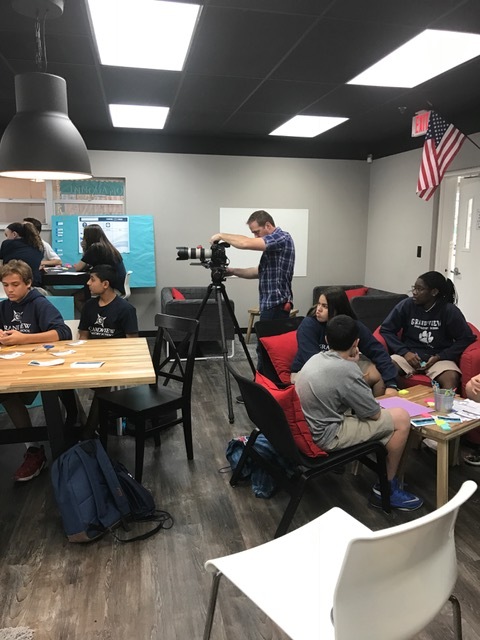 Miller and his team are working to transform the world of education by empowering students to become 21st century learners. The driving force behind this initiative is to ensure our children will evolve into the kinds of employees businesses are looking for. This is also a goal at Grandview Preparatory School as we implement project and inquiry based learning and other current educational best practices. Miller contacted the Scrum Alliance, a nonprofit business with the mission to “transform the world of work” through Agile, on Grandview’s behalf. And in December 2016, the Scrum Alliance sent Miller and another Certified Scrum Master, Michael Vizdos to our school for a 3-day Agile bootcamp. 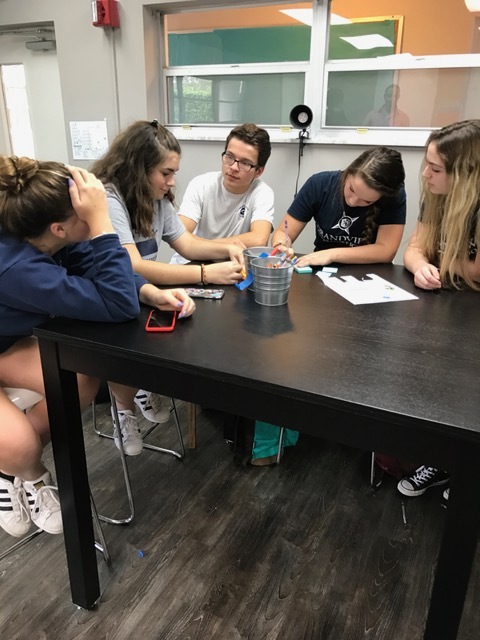 Eighteen faculty members and seven upper school students participated in the training, learning the basic elements of the Agile method and practicing how to implement it in the classroom. The students were extremely engaged and more vocal than we anticipated. We also realized how important it is to empower our students in the process of their own education. They are the largest stakeholders after all! Scrum literally puts the student in the driver’s seat of their own learning. The Scrum Alliance will be following our progress as we incorporate Agile at Grandview. We have already begun putting our heads down, interlocking our arms…and moving Post-it notes around our boards. Let the Scrum begin! Tags: Agile, SCRUM. Bookmark the permalink. Previous post ← OMG- I Got a B!